Network Attached Storage (NAS) is a term used to describe a complete storage system which is designed to be attached to a traditional data network. This differentiates Network Attached Storage devices from SAN&apos;s (Storage Area Networks). 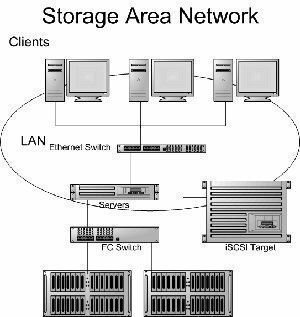 A SAN is a separate network to which storage devices are attached. In most cases, Network Attached Storage is less expensive to purchase and less complex to operate than a Storage Area Network. 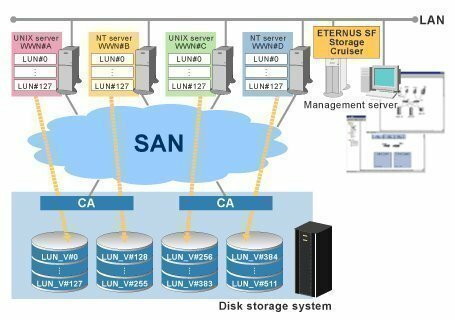 However, a SAN can provide better performance and a larger range of configuration options. NAS servers commonly support NFS (Network File System) and CIFS (Common Internet File System). They may also support other storage protocols, such as FTP (File Transfer Protocol) or SCP (Secure CoPy). NAS server are typically attached to the network via Ethernet. 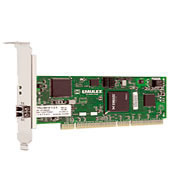 However, NAS devices are also available which connect to Fibre Channel networks. Wireless 802.11 Network Attached Storage devices are now appearing on the market. NAS devices have traditionally utilized SCSI (Small Computer Systems Interface) internally, but NAS devices can be built using any disk technology. NAS devices based on ATA disks are now available. I would like to connect 4 different PCs to a NAS and store the data from each pc seperately on the NAS. Can you please tell me how to do that? Can you explain how the security is maintained by NAS? 123 queries in 0.445 seconds.